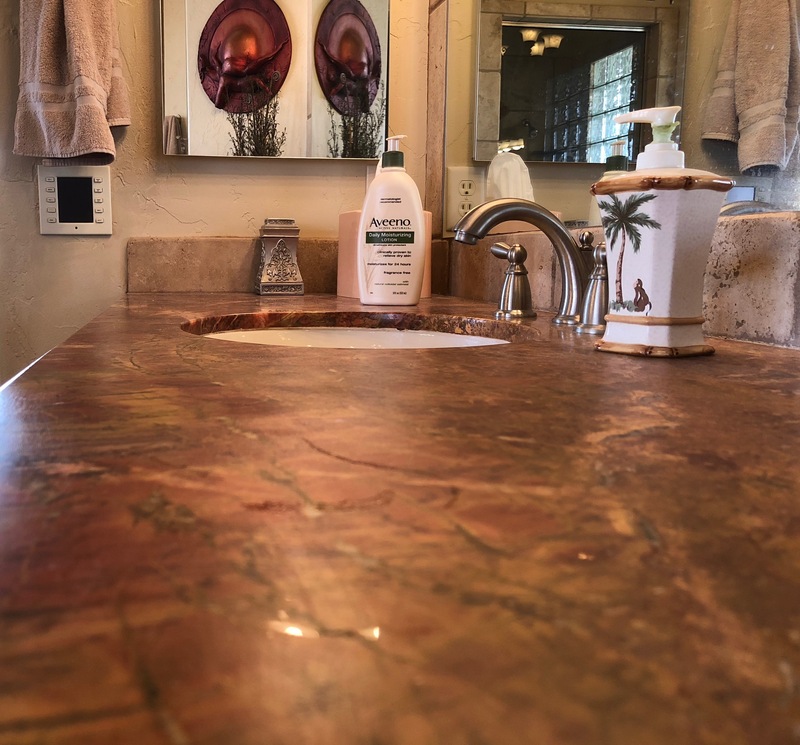 This marble bathroom countertop was severely damaged by years of use & neglect. There is no reason why it needs to stay that way however. Using a series of specialty diamonds, the damaged areas are ground out and then polished to a high shine. With some simple care, this surface will continue to look this way for many years to come. 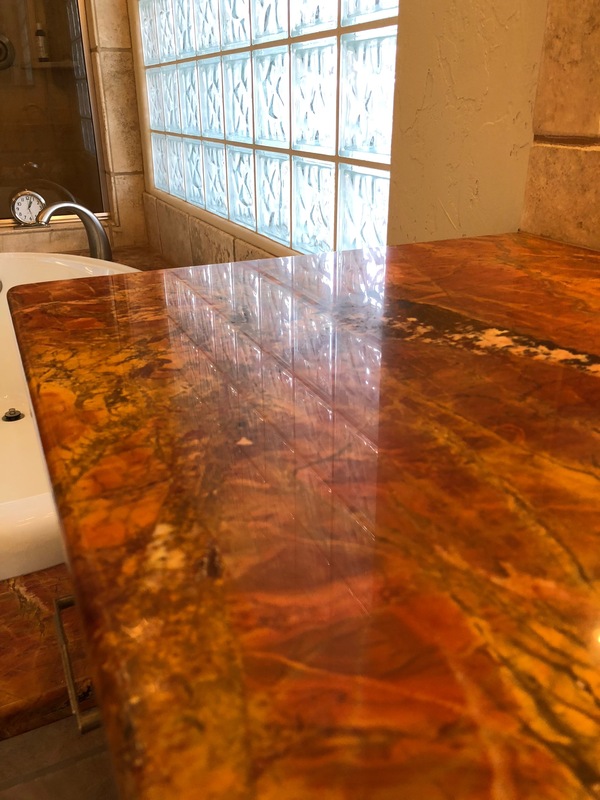 Marble is damaged by many of the product we all use. The surface to be restored is first masked off for protection. 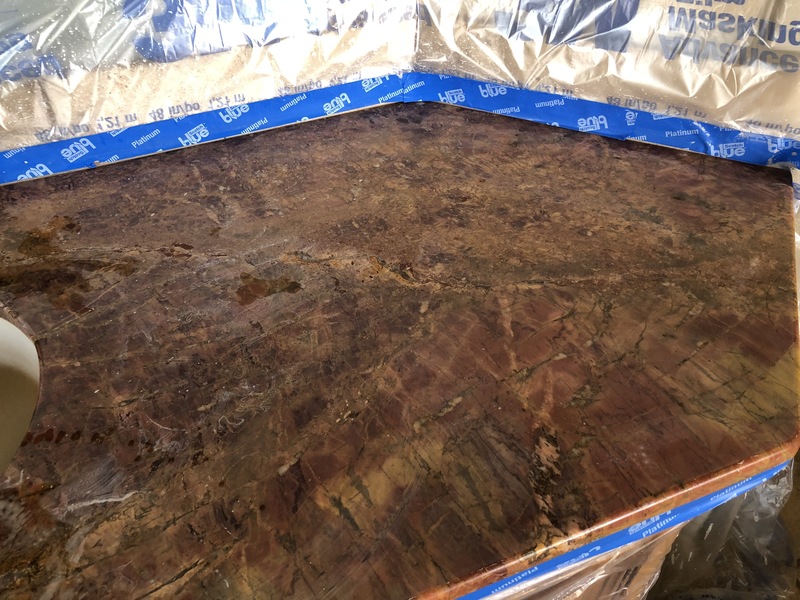 After grinding and polishing, the marble surface looks like new once again.